Planning for a holiday in Europe? 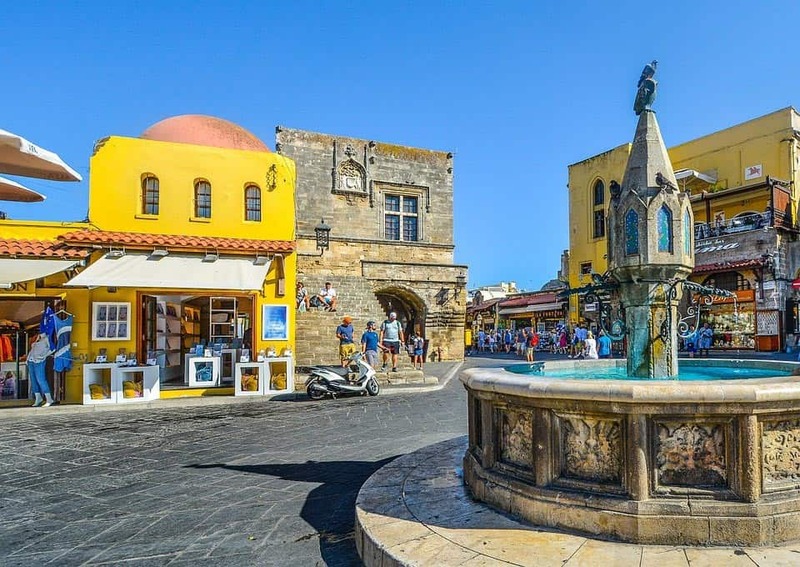 Consider the Rhodes Old Town, situated in the very popular island of Greece. It is a magnificent medieval destination which is recognized by the United Nations Education Scientific and Cultural Organization. The island is full of activities. Read our activities post here, and a special one for Rhodes beaches from here. The town has largely been preserved from modernity by means of soaring walls which are topped with minarets and domes. Its interior, on the other hand, is adorned with squares and cobbled streets which are pleasurable to explore and traverse. To its north is a busy port which hosts numerous cruise ships that sail to the eastern Mediterranean Sea. Most of these ships make this harbor as their ports of call especially in times of emergencies. You will find numerous shops and restaurants here, which mainly cater to international visitors and patrons. It is at this place where you will also find the main beach, Elli Beach. This wonderful Rhodes Old Town dates back to 408 BC. It is located at the northern tip of the Rhodes Island which is in turn located in the Dodecanese. On the whole, the town embodies a wonderful blend of ancient and modern resources. It is split almost into two equal halves. Almost entirely in its history, this city was occupied and claimed by several world powers. These are the Greeks, the Knights of St. John, the Ottoman Turks, and the Italians. The Greeks have been occupying it ever since they deposed the Italians. As such, it is entirely in the hands and domains of the Greeks to this day. Ever since antiquity, the town has been famed for being the site of the Colossus of Rhodes, which is one of the Seven Wonders of the Ancient World. This, together with the citadel of Rhodes which was built by the Hospitallers are some of the best-preserved structures of medieval Europe. It is these two ancient marvels which earned the town a UNESCO World Heritage Site designation in 1988. Given this rich history, its architecture is a kaleidoscope of everything from the Classical to the Ottoman to the Greeks to the Italian. This perhaps is a good place to stop by if you are intent on unearthing what the wonderful continent of Europe is all about. Its blend of this great history is by all means comprehensive. Generally speaking, the Rhodes Old Town is the principal city and a former municipality on the island of Rhodes, Dodecanese, Greece. In 2011, the city went through a local government reform which placed it at the municipality of Rhodes. It has since been designated as a municipal unit within that municipality. The town and its outlying metropolis have a combined population of around 90,000. It also doubles up as an important urban center as well as a popular international tourist destination. For these reasons, numerous tourists do flock the town from all walks of life year round. Make sure to check this page for holiday options in Rhodes. As has already been hinted earlier, this medieval city has numerous attractions which provide you a legitimate reason to pay a visit. Of these sites, five particularly stand out. We have sampled and are going to explain them here below. In your visit to this wonderful destination, we strongly urge you to consider spending a bit of your time at any of them. You can go through Rhodes town in a day. This narrow and cobbled street stretches from the Hospital of the Knights to the Palace of the Grand Masters. It is lined in its entirety with a couple of stone buildings and some Gothic arches. The facility is well preserved to the extent that it appears much the same as it used to in its heydays in the 15th and 16th centuries. It is along this street that the knights used to have their inns. This order was further subdivided into seven tongues i.e. the Provence, Auvergne, Aragon, Italy, Germany, France, and England. Different segments of the town the two were dedicated to each of these orders of the knights. With regards to the above resources, the town is a silent reminder of the crucial role that the entire island played in the medieval era. It would not have been possible for these knights to achieve the feats they did without a stopover in and the massive support from Rhodes. Mandraki is an old commercial harbor which dates back to the city’s founding in 408 BC. The harbor is safe and deep courtesy of the long breakwater which shields it from the harsh ocean currents. It is lined with three defunct windmills and the 15th-century Fort St. Nicholas which adorns its northern tip. At the entrance of the harbor are some two stone columns whose tops are decorated using stone columns. The decorations come in the form of the doe and a stag. In the days of yore, the entrance to this harbor is touted to have hosted the mythical Colossus of Rhodes. In modern times, it is utilized by yachts and excursion boats which ferry tourists on day trips to the adjacent islands of Marmaris, Halki, and Symi. 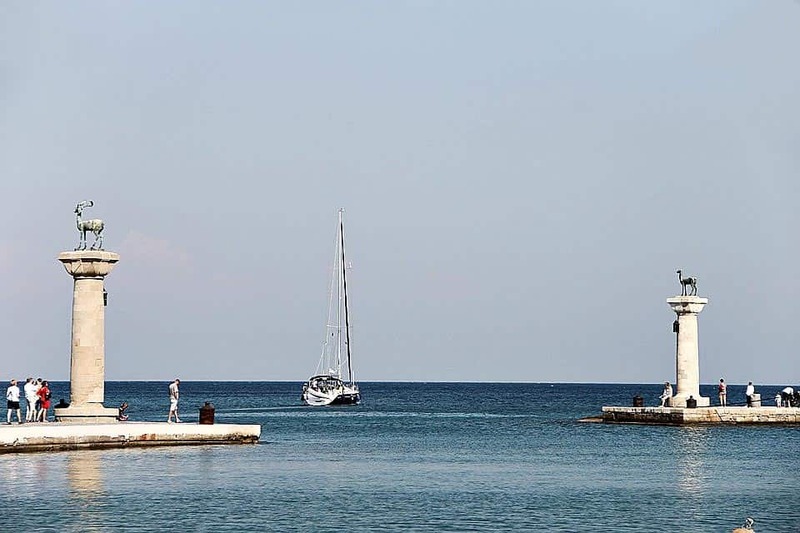 It is definitely in your best interest to take a breather at this harbor in your visit to the island. This Süleyman Mosque was constructed in the year 1522 AD at just about the same time when the Ottoman Turks conquered the city. 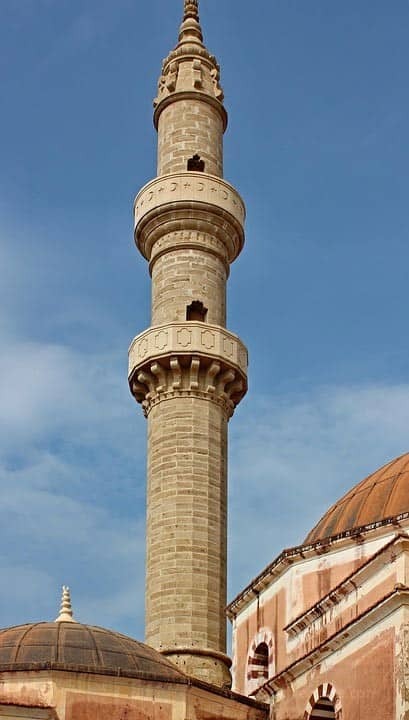 It comes in the form of the pink-and-white appearance and has an elegant minaret at its roof to commemorate the island’s conquest by one Süleyman I. The conqueror was also known as Süleyman the Magnificent. He was one of the most powerful leaders in his time. During his reign of terror, many of the churches which were already in existence in this town were converted into mosques. Right at the apex of the Street of the Knights is the Palace of the Grand Masters. This is a massive stronghold which is defended by a triple circuit of walls. It occupies the highest point in the Old Town. The palace is constructed on the site which was initially occupied by an older Byzantine citadel. It was constructed by the Knights of St. John who ruled the island from around 1309 AD to 1522 AD. On the whole, this structure is whimsical in nature. It comprises numerous antiques, antiquities, pebble mosaic floors, crenelated ramparts, and great towers. You will find around 150 rooms in the building, with only 20 of them open to tourists. This structure was also constructed by the Knights of St. John. At its construction between 1440 and 1489, the building was mainly a hospital. It was later converted into an archaeology museum, a role which it serves till now. At the front of the building is a beautiful herb-scented courtyard garden. You will find displays of archaeological site finds which are sourced from various places across the island. These include marble statues, stunning mosaics, urns, and the funerary stele. Perhaps the most noticeable figure is the white marble statue of a naked girl who is seen crouching and running her fingers through her hair. It dates back to the 1stcentury BC and is referred to as the Aphrodite of Rhodes. Here is a video with a nice narration and visualizations of the place. Needless to say, you will have to find a place to lay your head. When you talk about matters accommodation, this destination has no shortage of them. 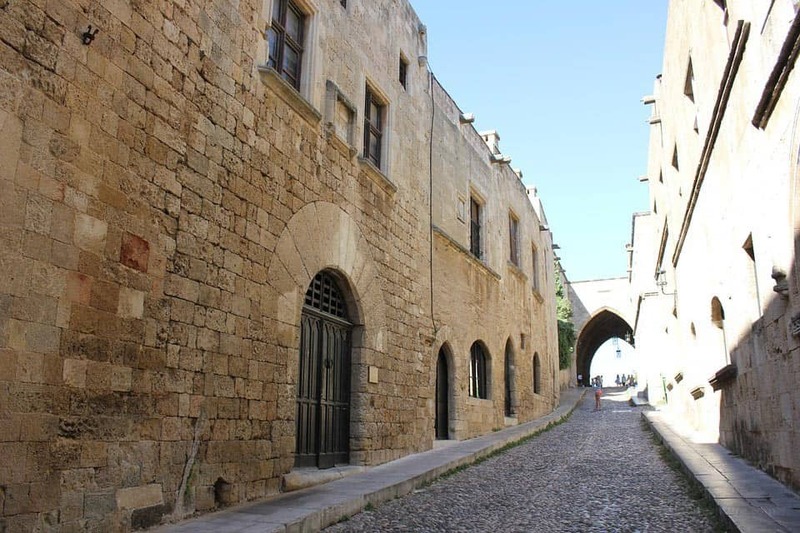 There are plenty of Rhodes Old Town hotels. The island contains numerous hotels, hostels, and other facilities which are great for rest, recreation, and relaxations. The following five facilities are great for an international tourist as they are both affordable and provide great services. This hotel is housed in a revamped historical Italian building (check prices). It also embodies medieval and oriental elements in its structure and makeup. 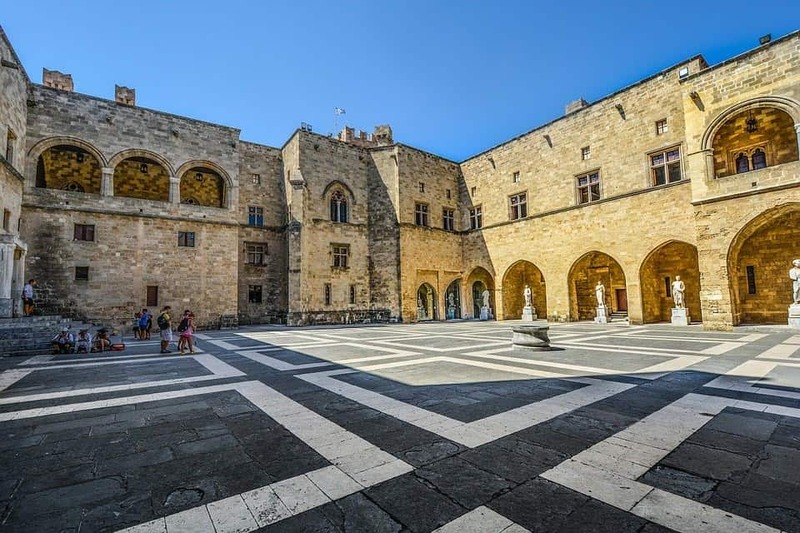 The hotel is located Medieval Rhodes Old Town at a stone-throw distance from Grand Palace. Its staff has been identified to be extremely great and friendly. They are known to be warm and welcoming. This is not to mention that the hotel also provides great cuisine and excellent accommodation facilities to the international visitor. Located at the main beach of the island, this hotel is also at a close 700 meters away from the island’s major port, Mandraki. It is especially famed for its the fine Mediterranean and internal cuisine. The hotel has an on-site restaurant which also offers breathtaking views of the adjacent Mediterranean Sea (check prices). Its rooms are also not left out at all. They are personalized, super-friendly, and spacious indeed. The beds in the rooms are way very comfortable whereas its windows offer perfect views of the exterior panorama. In case you happen to be a business executive, this is the hotel for your consideration. Its flagship feature which makes it suited for this kind of role is the free Wi-Fi connectivity. 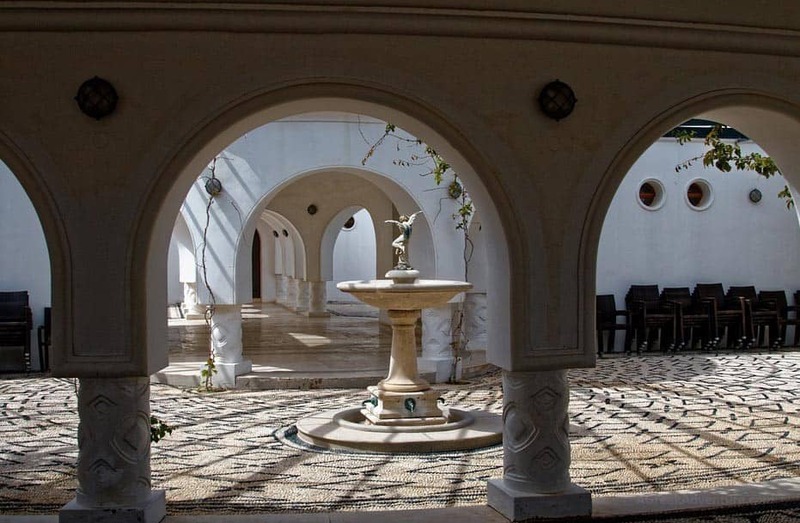 It is located only half a kilometer away from Mandraki Harbor. It has great restaurants and a snack bar where you can enjoy great drinks. Its rooms are cleaner, larger, and its team of staff members is also courteous enough to handle your requests with the utmost professionalism (check prices). Are you cash strapped? Worry not! It is still possible for you to receive world-class accommodation. You have this particular hotel for your consideration. It is cheaper due to its provision of private or shared bathrooms. 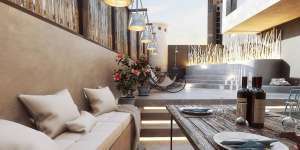 These are set around a shaded and well-furnished terrace (check prices). 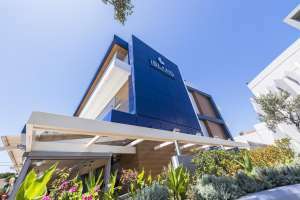 Unlike most other top hotels, it is located right at the heart of Rhodes. As a matter of fact, it is only 200 meters away from downtown Rhodes. Many past visitors have praised its great location, clean ambiance, and nice hosts. 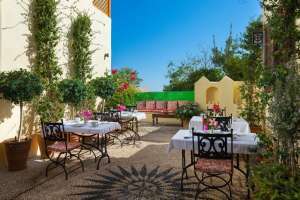 Strategically situated right at the heart of the Rhodes Old Town, this Trinity Boutique Hotel is only 1.4 km from the Clock Tower, 2.3 km from the Grand Master’s Palace, and the 1.8 km from Mandraki Port. As such, it provides a convenient base from which can explore these attractions (check prices). 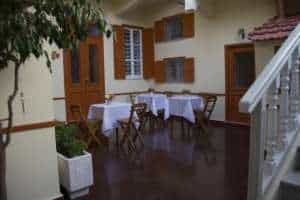 From the foregoing, this indeed is the accommodation facility to consider residing in if all you want is to explore the heart of Rhodes Old Town. In all, the hotel provides remarkable comfort and trust. Its staff is warm, welcoming and possess great relaxing personalities. Knowing when to visit the city is just as significant as knowing where to stay and the kinds of attractions that await you here. The time interval that runs from May through to June and September to mid-October is by far the best to pay a visit to the city. This is because it is at such times that the weather is at its best. There is no snow, excess rain, or terrible cold at such times. You can still visit the city during the late spring times and the early summer. These times also offer mild weather an experience fewer tourists. In light of this, the cost of accessing the various attractions and accommodation facilities is lower at such times as they are at other times. Moreover, those are the best times to enjoy the beaches and take a swim at the sea. You will also get to peek at unforgettable sunsets or tackle the White Mountains on Crete Island. The peak tourist season runs between July and August. At this time, unruly crowds visit the island. This leads to inflated room rates. It is at such times also that you will get to enjoy some delicious octopus, Greek moussaka, or Horiatiki salad. If you are the type of traveler who wants to experience places through a series of organized tours, then these 4 options will fit really well. Getting to Rhodes is not so difficult. A chat with your travel agent will give you the much-needed head start.